When to use bus lanes. Are you ever allowed to use bus lanes? When to use bus lanes is important. Bus lanes are marked by dashed white lines on the road turning into a solid white line. 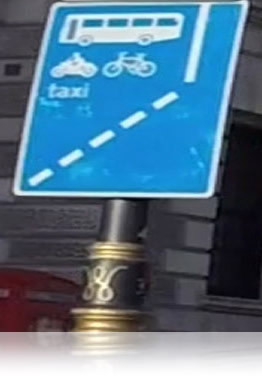 There will also be a blue bus lane sign showing you when it's in operation and the road users that are allowed (e.g. cyclists and taxi's). Every bus lane has different times. If there aren't any times dispayed then it's in operation 24 hours a day and must be avoided. When can you use a bus lane? If you are driving at a time outside the hours displayed then you should drive in the bus lane if it's safe and convenient, unless there is an obstruction or you're turning right soon. Driving in the bus lane when you're allowed helps ease congestion as it means that others can overtake if they wish to. Some bus lanes can have multiple times and days. 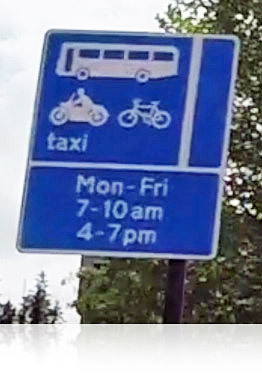 This bus lane can be used after 10am and before 4pm. 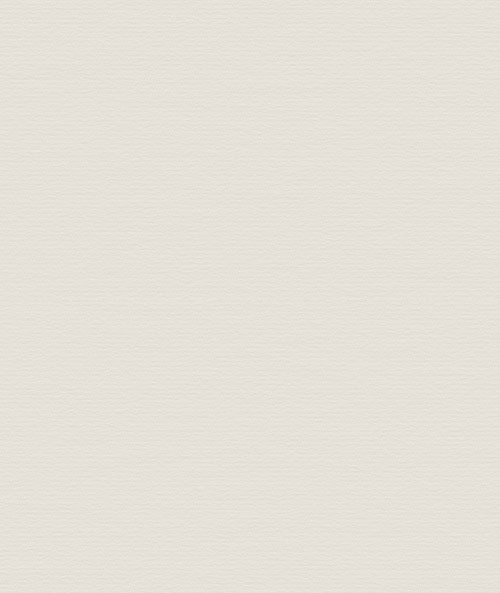 It can also be used after 7pm until 7am and all day Saturday and Sunday. Not using a bus lane when you're allowed could result in a driving test fail.